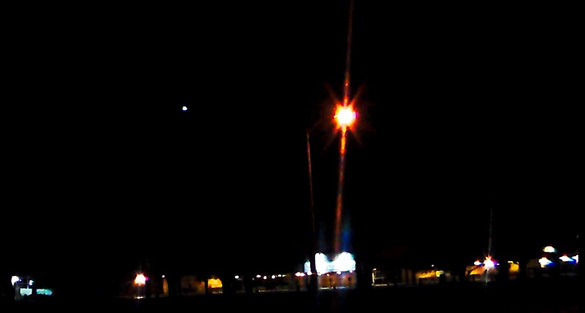 A Texas witness at Houston reported videotaping “strange lights in the sky” that hovered and moved positions over a two-hour period, according to testimony in Case 65255 from the Mutual UFO Network (MUFON) witness reporting database. 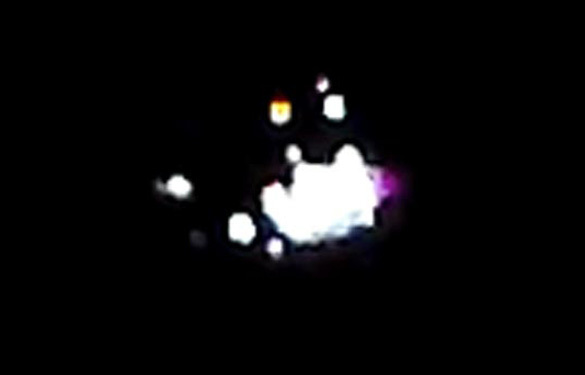 The witness was outside about 2:30 a.m. on March 30, 2015, when the lights were first seen. The witness stated that the object changed shape as he watched. The witness described the object’s movement. The witness watched the object for about two hours. 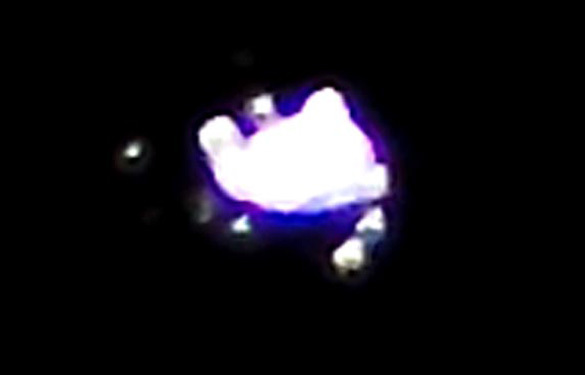 The witness was glad he was able to record video (seen above). The witness now believes there were several objects in the sky. The witness continues to see objects he cannot identify. Texas State Section Director Arthur B. Goodrich investigated and closed this case as an Unknown. The case was originally reported to MUFON on May 7, 2015. Did the Houston witness disappear? Some of the more interesting stuff is at the ~1:35+ mark. 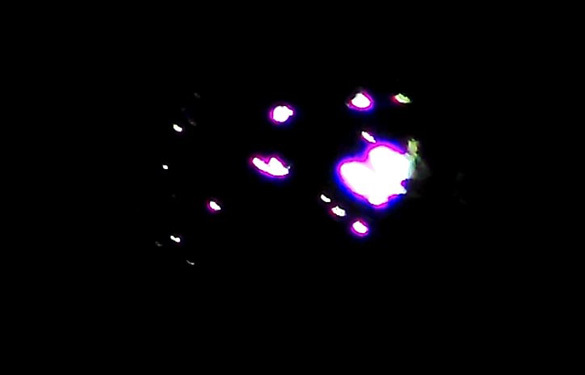 At 1:45 you can begin to see a structure at the bottom middle that is being lit up by the glowing “blob” right above it. It is most visible at about 1:50 in slow motion when the camera manages to get a sharp image for a few frames. There is a similar effect (something solid being illuminated) going on in the upper right. Incredible video! This type of event has been videotaped repeatedly in the past several years. The other videos similar to this had the effect somewhat like a “portal” being opened. Or perhaps it’s their cloaking technology that we are seeing. Nevertheless, this video evidence is exactly what we need to prove the existence of something that is not us. Something this weird needs attention. To me, after doing my own truth seeking and research, these events are indeed not human technology and we are witnessing the actual fabric of space-time being warped by some incredibly powerful alien technology. Whatever it is, luckily no one got hurt. To nick, I saw a headlight type light in they sky once. I get chills thinking about it. It was 3 times the light would grow very strong , then fade out. Then strong and fade out. It did this 3 times, then 20 – 25 seconds later it did it again. It appeared to be traveling north, 20 miles west of nyc. 3 of us all saw it and none of us could explain it. It was not a round light , more of a rounded square. It was very high up 20,0000 feet I would say. It lit up the clouds that were around it. What leads this video to be credible is that you also focused on your surroundings (panning back and forth) and then to the anomaly…nice job! If we had more witnesses do this type of filming we would be a lot further ahead in our investigations! I saw a ufo flying across the sky tonight as I was on the beltway headed south towards I 10. I still can’t believe it because I thought it was a shooting star. The way it moved and at the rate of speed I knew it was something that was not from this earth. It first dropped out of the sky straight down and then went back and forth across the sky, before trailing behind an airplane and then disappearing.